I have a great deal of experience of IR filming, initially with Ikegami cameras, and more recently a with Canon 5D’s, one of which I have had converted to allow maximum sensitivity for IR filming. I have a complete IR lighting rig consisting of two Derwent Super LED lights with inverters of running off 12v DC sources. In the past I have filmed Himalayan Black Bears raiding orchards for Ganges, badgers mating and nest building in the UK, and a nocturnal species of honeypot ants for Empire of the Desert Ants. 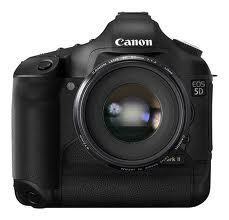 The use of the Canon 5D MKII for IR filming has been the first significant step forward in IR filming for years. Running at 1080 / 25P with the IR filter removed it delivers fantastic quality monochrome images with great sensitivity in lowlight and lit IR conditions. I have just started using this set-up and have a full range of Nikon lenses which deliver wonderful results.